Walk-ins Welcome, Scheduled Appointments Highly Preferred! 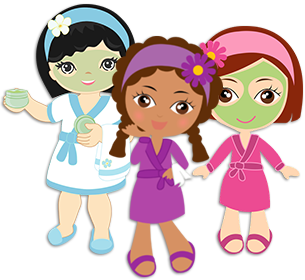 Trinity's Day Spa is the one and only girls, tween, and teen spa in Gainesville, FL. Finally a place where young girls can be pampered and experience the same excitement that adults have for years! Please go to our Services Page to see pricing and all of our packages! Feel free to Contact Us if you have any questions or stop by if you would love to see us in action! As a stay-at-home mom many years ago, I realized how my daughter Trinity would want to mimic everything she saw me do. As bad as I wanted her to experience the importance and joys of being pampered, there was no place in town where I could take her to feel like there was a place for her or looked like a place for her. I felt it was important to instill self-confidence along with loving who she sees in the mirror at an early age. So even though I’m now a proud mom of a young teen daughter and a son in college, I want other young girls to experience the joy’s of being pampered in an age appropriate way! 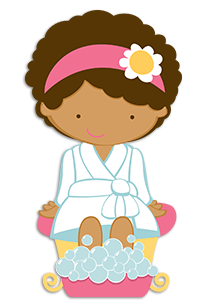 Here at Trinity’s Day Spa it’s in our best interest to make sure your girls leave here with an experience they will never forget.